Count On Bone For Discount Auto Glass Repair! 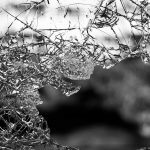 The last thing you expect is a cracked or broken window in your vehicle. That’s an expense that you probably didn’t plan for, but there is no need to panic. In the St. Louis area, Bone Auto Glass offers affordable, quality discount auto glass repair that will get you back on the road quickly at a price you can afford. Bone Auto Glass discount auto glass repair is second to none. We service all types of vehicles including all makes and models of trucks, cars, RV’s, and semi trucks. If it has wheels and glass, we will repair it! Our affordable services include chip repair, windshield replacement, door glass, rear window glass and sunroof glass repair. Bone Auto Glass also repairs water leaks and air seepage, all at the best prices you’ll find in the St. Louis area. The experienced, highly trained professionals at Bone Auto Glass come to you at your location, so the whole process is incredibly convenient. We provide a lifetime warranty on all our products and we will even deal with your insurance company for you. We offer all these services at discount prices, and with free estimates. Bone Auto Glass offers fantastic discount auto glass repair in St. Louis and give you even more additional savings. Take another $5 off any auto glass crack or chip repair, and $10 off any windshield replacement! That is just our way of saying thank you to our customers. We are dedicated to saving you money. Don’t hesitate to contact us to schedule an appointment.